If you’re a startup, operating on a limited budget, it becomes essential to focus your marketing on low-budget marketing strategies that are proven to work. You need to make every penny count. 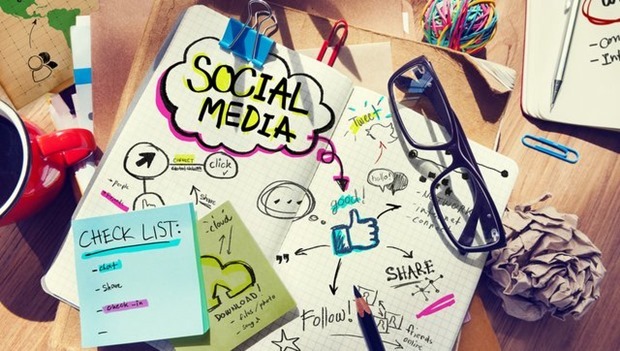 Here are seven ways that startups can build a strong following on social media. 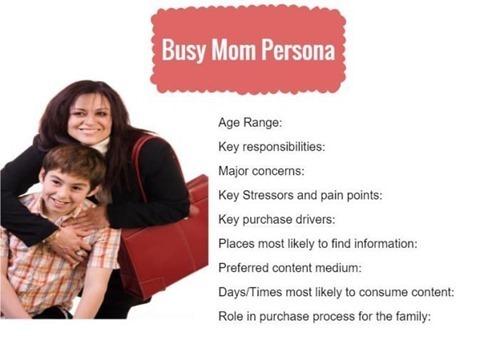 Buyer personas are an inbound marketing strategy that help you hone in and focus on the right target audience. With a limited marketing budget, the last thing you want to do is to throw money away on marketing to an audience that is not interested in your products or services. Understanding all these aspects of your buyers will help you focus your marketing and content to appeal to the right buyers at every stage in the sales funnel. For example, this is what a buyer persona might look like for a startup like BigBasket.com. With a majority of internet users now accessing the web from their mobile devices, your startup website needs to have responsive web design and be easily accessible on all mobile devices. Google’s “Mobilegeddon” update made having a mobile-friendly site a ranking factor in the Google search results. That means, if you hope to use SEO to get traffic to your website, your design needs to be responsive, so it adapts to any mobile device that it is viewed on. The alternative is creating a mobile app, which is an expensive proposition for a startup, and not really necessary if your website is responsive. If you use WordPress to build your website, it is easy to download a free or low-cost theme to make your website mobile friendly. One of the biggest misconceptions startups have is that they need to build a presence on every social network. This only means you’ll spread yourself thin and remain unfocused in your marketing strategy. While I would recommend creating an account on all social networks, just to make sure no one else takes charge of your brand name, you need to focus your efforts only on those networks that your buyer persona is spending the most time on. For example, for the Busy Mom Persona above, Facebook, Twitter, Pinterest and Instagram might be the best networks to focus on because these are the networks most frequently accessed by women. The more focused your efforts, the mbore successful your social media marketing campaign will be. The fastest way to build a strong following on a network like Facebook is with paid advertising. Facebook Like ads can grow your following, while Promoted post ads can boost engagement on your best content. Facebook advertising is still relatively low-cost, especially if you’re advertising to an audience in India. For just a few rupees a click, you can grow your network to thousands of targeted fans and followers. On Twitter and Pinterest, it is still easy to build a following without advertising. But if you’re in a hurry to grow your numbers and get your startup in front of more people, explore Twitters follower ads and Pinterest’s Promoted Pins options. Set aside a budget for social media advertising and you will be able to build a strong social media follower base in a much shorter time. While your social media profiles are your outreach posts, I highly recommend that you make your blog the hub of your social presence. Publishing a regular blog is great for SEO, and also provides you with original content to post on your social networks. Make sure your blog is setup to capture leads and emails from blog subscribers. There’s no point sending traffic to your blog, if you’re not generating targeted leads that you can add to a follow-up email campaign. Your blog is an essential component of your sales funnel, so invest some time and effort in publishing posts that target the challenges and pain points of your buyer personas. Publish content in multiple formats, like video, infographics and PPT (Slideshare) to reach those customers who prefer consuming content in these formats. Spend some time learning how to make your content stand out from the clutter. Social customer service is such an important aspect of social media today, that it’s no longer an option whether you should invest in it or not. On average, 40 percent of customers complaining on social media expect a response within an hour, and 32 percent expect a response within 30 minutes. It would be wise to hire a dedicated social media manager to answer queries immediately. Social networks like Facebook have even introduced features that display how quickly customers can expect a response from their favorite pages. If you respond to 90% of messages and maintain a median response time of 5 minutes for all replies sent, your page will qualify for a “very responsive to messages” icon. As a new startup, you can build an advantage over more established competitors if you show your fans that you are super responsive to their queries and concerns. Facebook also allows Page admins to reply to comments left on their Page with private messages. This can help you respond to personal requests and handle customer-specific information more effectively. Facebook’s “Saved Replies” feature gives you the ability to use canned messages when communicating with potential customers on your page. This can help you cut down on the time you spend responding to frequently asked questions. On Twitter, response times have to be quick, or else customers are likely to complain and spread negativity about your brand. To learn how to create a social customer service program that gets results, read the 2015 Definitive Guide to Social Customer Service. The best way for a new startup to build visibility and buzz on social media is with the help of contests and promotions. Offering free versions of your products, discounts, or prizes, can help you get a lot of new followers and fans in a short amount of time. Spend some time coming up with a creative idea for your contest. Use videos to announce your contest, and upload your videos directly to Facebook, so you can benefit from the viral nature of Facebook shares. Use social ads to advertise your contests and promotions to a targeted audience of buyers. Contests and promotions can create a lot of positive publicity and word of mouth for your brand on social media. Check out Jay Baer’s tips for holding the perfect social media contest. Did you find these tips useful in building a strong social media following for your startup? Let me know in the comments below. About the Author: Priya Florence Shah is CEO of Blog Brandz, an author and social media marketer. Get access to her free report 50 Ways To Increase Social Media Engagement. "7 Ways For Startups To Build A Strong Social Media Following", 5 out of 5 based on 2 ratings. you can refine your brand representation and engage with both current and potential customers. Through social media platforms you can establish your credibility and reach out to people who want to know about your business. For a start up business initially the most indispensable thing is to create a brand awareness among its target masses. And social media is a very effective platform for promoting a brand. Developing knowledge on how a startup use social media to draw traffic to their site will really prove beneficial.